Culinary Cultures Archives - Words Matter. Many thanks to our very own Dr Sarah Lawson Welsh for sharing details of the second Culinary Cultures event, taking place this Friday (20th July 1-5pm). There will be plenty of opportunities to ask questions, interact and discuss plus a free afternoon tea! Anyone in York St John’s Quad South Hall on the 5th May (and possibly a few days after) will have noticed the soulful smell of fresh, exotically spiced food lingering in the curtains of the chapel: a perfect metaphor for the cultural synergy explored in the Culinary Cultures event held by Dr Sarah Lawson Welsh. The event was filled to the brim with excellent speakers whose papers and presentations all seemed to complement each other and help attendees develop a well-rounded understanding of food in literature, advertising, feminism, as well as every other facet of life. It did seem towards the end of the event that food permeated every aspect of existence, of course it would be hard not to think that when discussing the problematic masculinity of barbeque culture over the loveliest fried plantains I have ever eaten. The day began with an eye-opening look at barbeque culture in America, focusing mostly on the one word that will pop up multiple times in this post as it did throughout the event: authenticity. You may have seen signs on restaurants claiming to deliver true flavours of their cuisine’s country of origin, or even claiming that they have the most authentic ingredients, we have all definitely been to an Italian restaurant that makes use of their mother’s/grandmother’s/any matriarch’s recipes from back home. But as the day progressed those of us in attendance began to unpack the problematic nature of these claims, making many of us simultaneously want a barbeque and not want a barbeque! Thankfully after all this talk of food, we actually got to eat some! 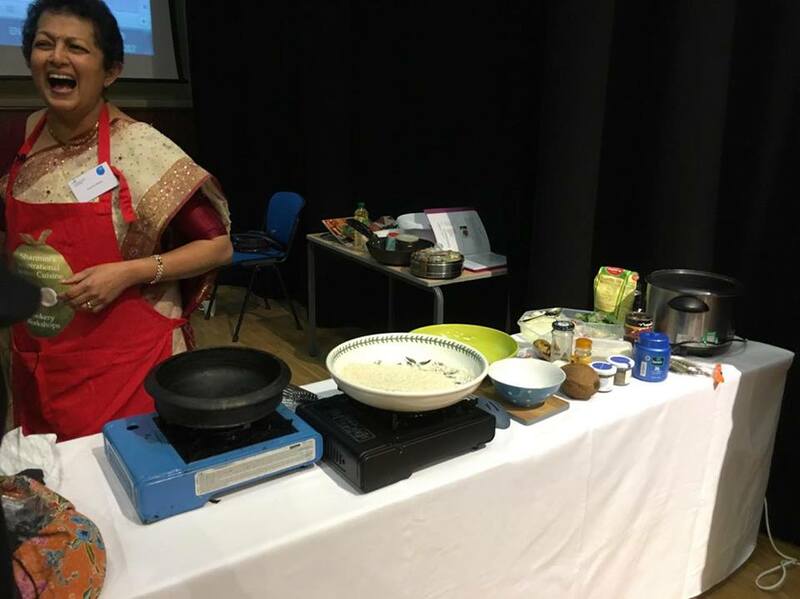 Food educator Sharmini Thomas cooked up a feast of wonderfully spiced foods for us to sample over lunch, whilst patiently answering any question thrown her way. Throughout the cook-up Sharmini chatted about spices and where they come from, the origins of certain dishes, as well as some interesting Indo-Caribbean history we definitely weren’t taught in school. But most interestingly, whilst chatting, we touched back on the idea of authenticity. 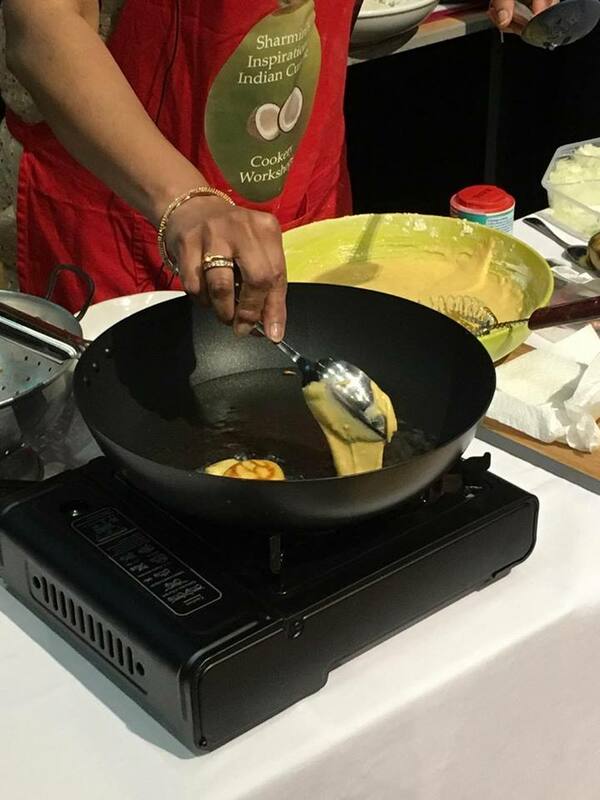 When someone asked about whether or not coconut should be added to rice and peas Sharmini silenced us all by reminding us those cooking would cook with what was available, if there was coconut growing nearby, it would go in, but if not the recipe would go without. This begs the question: can the authenticity of these recipes really be replicated? And even should recipes made for survival be appropriated and lay any claim to authenticity in the face of luxury? The answer is: yes probably. It’s unfortunate, but true, that some post-colonial cultures are in danger of dying. After lunch we explored the food of Palestine. 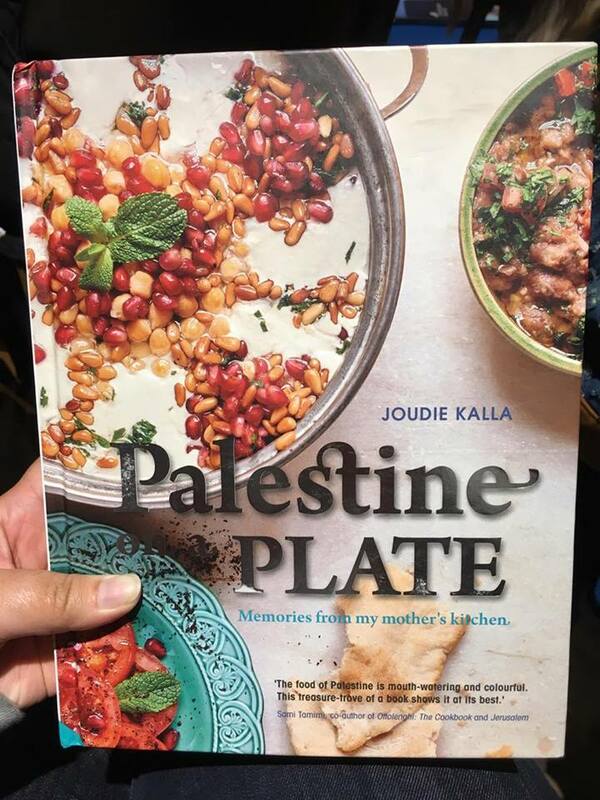 Although the promotion of Palestinian agriculture through fair-trade as a means of raising awareness was fascinating, I found myself drawn to the discussion about Joudie Kalla’s cookbook Memories From my Mother’s Kitchen as a means of preserving Palestinian culture. As a literature student I find myself looking for importance in books, primarily in fiction, but cookbooks offer an insight into life just as deep as those in fiction, and they should definitely be allowed more close readings. Food, after all, is the point that our lives revolve around, so why should books dedicated to it not have an important place in our society? Whilst discussing recipes and cookbooks, during in one of the many coffee breaks, I noticed quite a few attendees were speaking about family recipes that have somehow never found their way onto paper and as a result are cause for argument at family gatherings. Spookily, this was perfectly mirrored in the final discussions on the nostalgia of food, and maternal inheritance in the culture of family recipes. And it is there, with everyone fondly remembering their mothers and grandmother’s kitchens, that one of the best events I have attended at YSJ came to a close. Full of food for both body and mind, we all went home remembering the lingering smells of the spices. I would like to take this opportunity to thank Dr Sarah Lawson Welsh for organising one of the most academically fulfilling events I have attended throughout my degree. Those wanting to attend any more of these food related events should drop Sarah an email to get on the mailing list, it will definitely be worth it.